After wrangling over the proper definition of jihad and the influence of Moses on the Founding Fathers, the State Board of Education’s initial vote on new social studies textbooks was ultimately derailed by Common Core. An initiative spawned by the National Governors Association to set uniform academic standards across U.S. public schools, Common Core has become a frequent punching bag for conservative activists who believe it injects liberal bias into the classroom. 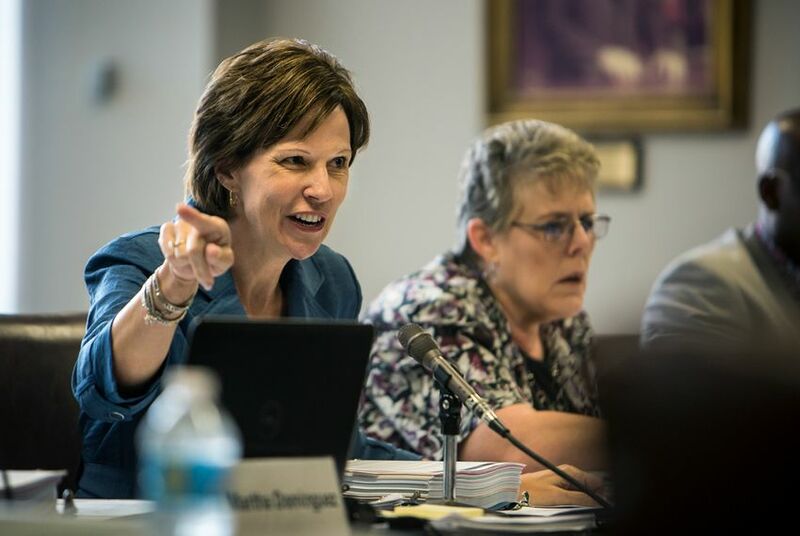 The board heard more than four hours of public testimony, much focusing on a 469-page report submitted by the Truth in Texas Textbooks Coalition in late October. Formed by retired Lt. Col. Roy White, a San Antonio-based Tea Party activist, the report identified instances of what White called “pro-Islam and anti-Christian” biases and errors in the books. Several board members also expressed annoyance at the media for spreading a perception that Texas teaches schoolchildren that Moses was a Founding Father. The confusion springs from a section in the state standards that identifies Moses — along with William Blackstone, John Locke and Charles de Montesquieu — as an individual whose principles informed the nation's founding documents. History scholars have criticized the inclusion of Moses as an influence on the origins of American government. On Tuesday, Jennifer Graber, a religious studies professor at the University of Texas at Austin, referred to those concerns as she presented a letter signed by more than 50 academics to board members. The proposed books "exaggerate and even invent claims” on Moses’ influence on the country’s origin, Graber said. “We are deeply concerned over the ahistorical nature of those representations,” she said. Though social studies textbooks have drawn the most attention, instructional materials up for adoption at the November meeting also include those covering math, fine arts, and technical and career education. Those subjects were approved without controversy.